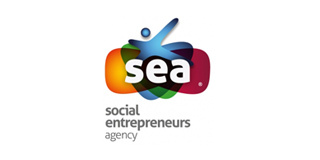 SEA is a non-profit organization founded in 2007 as a multi-sectoral cooperative. Our mission is the development and implementation of social entrepreneurship projects that aim for social, economic, cultural and environmental sustainability. SEA develops its intervention mainly in local territories, using integrated and innovative approaches, that seek to support individual, institutional and community empowerment, through public (local, national and European funds) and private funds. We are an experienced organization working with people and coordinating projects that promote self-awareness of personal competences, in order to apply them within the labor market and companies. For this, SEA intervention is flexible and adaptable in each context, which allows the development of training, basic skills programs with the use of personal branding methodology, also to validate them in real labor market situations. SEA is also implementing entrepreneurship projects, developing tools to access and promote a set of specific skills, and testing the project, at local and regional levels. Create social economy based innovative solutions with high social impact. Boost entrepreneurship as a way for the economic integration of unemployed people. Promote tailored territorialized intervention strategies, boosting the endogenous capital of each territory. Develop interventions in inter-institutional partnerships. Our organisations staff is composed of economists, social economists, social psychologists, social workers, human resources manager, managers, marketing professionals and financial managers.